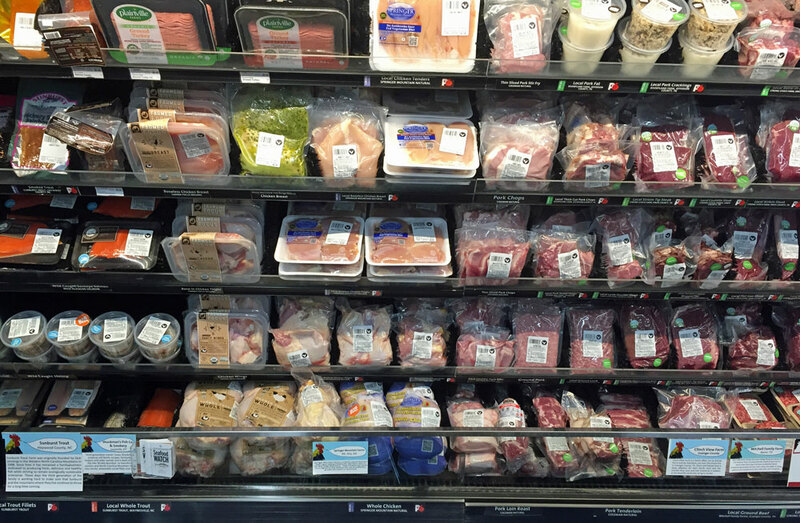 Our Meat Department offers a wide variety of natural and organic fresh, frozen, and dried meat products, many from local producers. Here you’ll find the highest quality meat products available, all produced without the use of hormones or antibiotics, and with no artificial colors or preservatives. No cloned animals or their offspring are used, and our meats come only from farms and companies committed to humane farm animal care. You can read our Product Standards for a thorough list of our standards and guidelines. Our Seafood Department provides delicious fish and seafood offerings selected for premium quality and sustainability. Using Monterey Bay’s Seafood Watch recommendations, we offer seafood options harvested using approved methods which help to maintain healthy ocean biosystems. We will not knowing purchase or sell genetically engineered seafood. Additionally, no Canadian seafood is sold at Three Rivers Market while the commercial seal slaughter continues in Canada.